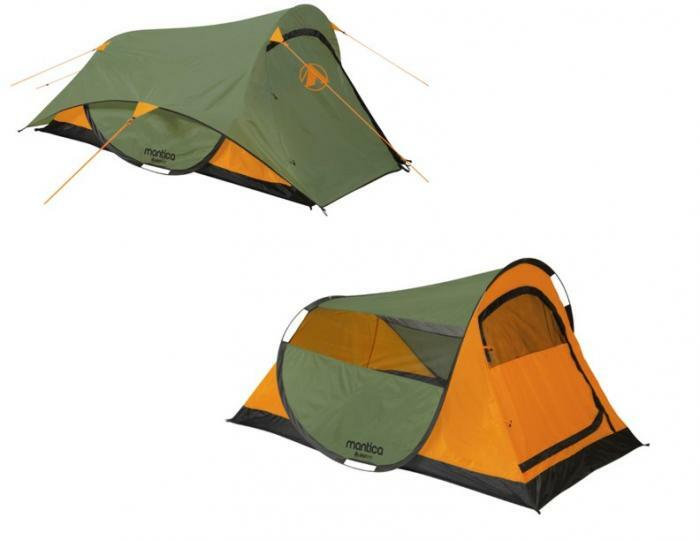 GigaTent Mantica 7.25'x4' Pop Up tent, Sleeps 2: Setting up a tent has never been easier! The Mantica employs a state-of-the-art inner tension frame technology that pops open instantly. Hardly any assembly is required. At only 4.5 pounds (5 pounds with metal stakes), this tent offers lightweight portability, perfect for weekend camping getaways! A 7.25' x 4' interior footprint is large enough to comfortably sleep 2 adults. The 48" entrance height provides plenty of headroom to easily enter and exit the tent and the back end of tent slopes down to 30" so rain easily runs off. 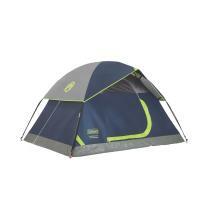 The tent is equipped with a fully taped large fly for keeping you comfy and dry in rain storms. 2 over sized interior pockets provide plenty of space for lots of smaller gear. Equipped with 3 large super fine "no-see-um" mesh windows for superior ventilation.